Today.Az - What does 2017 hold in store for you? What does 2017 hold in store for you? What does the next year hold in store for you? How will be the year 2017? Will you get a raise? 2017 will be the Year of the Red Fire Rooster, whose soft gait will surprise, gladden, frighten, and possibly disappoint those not especially competent members of the Zodiacal circle. Same as it ever was! 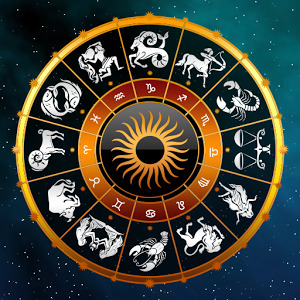 2017 would be a period of light, fascination and amazing time for almost all the zodiac signs, according to findyourfate.com. In the year 2017, Aries would have many opportunities in almost all areas of their lives. Aries would be having a wonderful career path in the year 2017. There would be a more sensitive and sensible approach in your love field. Aries would be also blessed with good finances. Try to strike a balance between your emotional and practical side all Aries out there. You are called in for a much responsible position for this period, hence act sensibly. The year 2017 would be a period loaded with much energy for the Taurus. However do not rest on your laurels, instead make use of all opportunities that come your way. Move forward and make sure that you bring your talents and creativity to the limelight. You would feel that you lack the time needed for rest and relaxation. But then keep moving as you would be having your hands full all through the year. 2017 calls for much more strategic planning and an intense approach as far as your career field is concerned. Love would be the central theme of your life in the year 2017. Existing relationship would get a new ray of hope for now. The year 2017 would bring about a productive and creative period for Gemini. You would get ample contacts and communications that would bring fodder to your professional life. If you listen more and talk less, then you would be able to excel in your field like never before. Stay clear from all sorts of indulgences when it comes to relationships. Your pace would be slowed a little when it concerns your career prospects for the year 2017. Hence it would be an ideal time of introspection and re-dedication to your ideals and ambitions in life. You could make some alterations, relocations and changes in your career pursuits for the year ahead. Your love life would get a new meaning and a new path in the year 2017. You would be able to shut down certain redundant relationships in life and pursue new ones. Cancer individuals would meet with new interesting options to pursue their life. If you dare then the toughest competitions would come for you and yet you would come out unharmed with success. Career would be highlighted in the year 2017 for Cancer natives. However be prepared for some unforeseen developments in your professional field during the course of the week. Your love life is going to be brilliant for the year 2017. Your desires and wishes regarding your relationships would be met. Leo would be able to live the life they have long dreamt of in this year 2017. However you would be confronted by hindrances and troubles occasionally through the course of the year. You would encounter some troubles in the relationship with authorities and peers in the work place during the year ahead. For the year 2017 your love life would gain momentum but there would be subtle changes to be seen. You would have much time to spend with your partner or love interest and to get your point across to him or her. The year 2017 would bring about myriad opportunities for the Virgo natives. Though you would be meeting with countless roadblocks ahead, you would come out unharmed at the end of the year. Some of you might suffer serious setbacks in relationships while some would be able to hold ground. Virgo would find the going tough in their career field. Your love life for the year 2017 would be full of surprises and emotions. You would be able to tank on more reliable and loveable relationships for now. For Libra natives, the year 2017 would be a very pleasurable experience. Peace and harmony would prevail in your relationships and you would be able to get a better picture of your future prospects without many pains. Libra natives would excel in their career field. Your love life would be sort of tricky for the year ahead. But then your seduction techniques would help you to win over even lost relationships or partners. Scorpio this year would be able to fulfill the projects or ventures they have long forgotten in the back burner. You would be loaded with ample energy to excel in your fields of interests. Scorpio would feel the heat or pinch in the career side. Your love life would be better than the past few years for now. Sagittarius would be able to experience many changes in their life. There would be major changes in their lifestyles, relationships and what not. Career would require or demand your total commitment and concentration all through the year, if you need to stem the tide of lay-offs and transfers. The love life of Sagittarius natives would go on strong for the year 2017. Your emotional and sensuous side would be more vigorous for this time period. 2017 would be highly successful for Capricorn. You would be able to bring to light some of your hitherto unexplored hidden talents. Career would be a great source of strength and an outlet of your creativity for this year. Your love life would have remnants from your past year deeds. Your concept of love and relationships take a new meaning now much to your own surprise. Aquarians would find the year 2017 quite energetic and enthusiastic to live with. There would be overall growth and development in all walks of their lives. Aquarius would encounter major changes in their career path. Aquarians would be able to feel more intensity and emotions in their love life for the year ahead. The year of 2017 would be shrouded in mystery with mixed results for Pisces. Around the middle of the year, your life might turn topsy-turvy just to turn around and be back on your feet for the end of the year. During the year your stability would be questioned. Pisces individuals would have a generally good career life. The love life of Pisces natives would be highly dynamic in the year ahead. Many of you would be in search of an ideal partner to your heart's content and would meet one. As a whole, 2017 will be successful for businessmen, athletes and soldiers; in general, for people of action, according to the gotohoroscope.com. If you are used to acting first, and then thinking (generally speaking), if thoughtfulness drives you into a deep melancholy and dynamic action gives you strength, then the Red Fire Rooster will appeal to you. Initiative, industriousness, generosity, and honesty are the key positive features of this time period. Fanaticism, egocentrism, and coarseness — these are the weaknesses which you should rid yourself of. Roosters, use this 2017 Year of the Red Fire Rooster to prepare for the next year. So make the best of it. The upcoming years are sure to be easier.